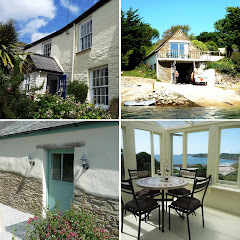 "The cottage is located just 10 mins drive from Perranuthnoe which is a bit of an undercover Gem on that bit of coast. Praa and St Michaels Mount are also super near as well so location wise it doesn’t get much better. The accommodation itself was clean, spacious and had a really chilled out vibe about the place. Cliff is a keen surfer so no worries hosing down the wettie after one of our many surfs. The bed was super comfortable (often overlooked) and the wifi (free) was rather useful for Spotify and surf checks. Strawberries and cream were there on arrival as were THE best eggs ever from the resident chickens. Sue and Cliff are a very welcoming couple who have a wealth of knowledge about the area so if you do stay make you sure ask them the best places to go to. One final shout has to go to the Cornish weather and surf for delivering in July. We plan to return in Autumn when the autumnal swells will be rolling in!"